Earlier this morning at approx. 8:41 a.m., Ptl. 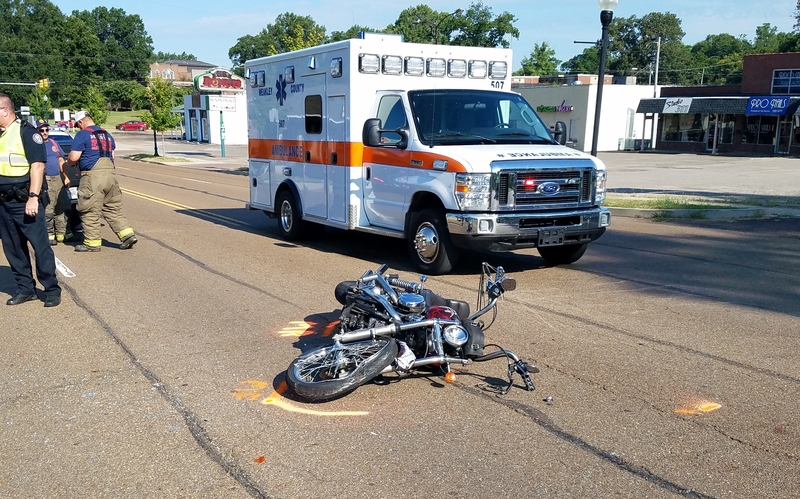 Trae Vaughn and other officers from the Martin Police Department responded to University St. near Domino’s Pizza in reference to a vehicle versus motorcycle crash. Upon arrival, it was determined that a white 2002 Jeep Liberty operated by Lora Phillips, 36 of Paris, TN, was traveling West on University St. Ms. Phillips was negotiating a left turn from University St. to Oakland St. Meanwhile, a 2003 Harley Davidson motorcycle operated by Seth C. Harris, 27 of Martin, was headed East on University St. The two vehicles collided near Domino’s. Mr. Harris was transported by EMS from the scene with what appeared to be non-life- threatening injuries. No one else was injured in the crash. The investigation continues by Martin P.D. crash re-constructionist, Ptl. Trae Vaughn.